Elite Blog Academy Blogging Course: Is It Worth the Investment? 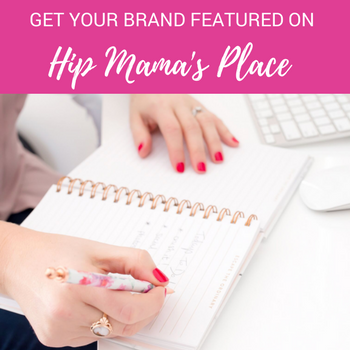 Have you ever felt like you are spinning your wheels when it comes to your blog? Like no matter what you try, you can’t seem to get more readers or generate more income? This year is my tenth year being a blogger, and I am still learning everyday. Blogging can get overwhelming at times. Whether you’re a veteran or a newbie blogger, you will need to be consistent and be willing to devote your time and discipline so that you are able to offer content that are relevant and helpful to your readers, and then to also be up to-date with the latest social media trends and learn things like SEO, generating traffic, etcetera. Now, there are many books and courses out there that promise to teach you everything there is to know about blogging and how to make income from doing it. Well, I did my research and if there’s one blogging course I can 100% recommend to anyone who wants to get serious with their blog, it’s the Elite Blog Academy course. I took this course when I decided that I needed to up my blogging game. I wasn’t sure I would learn anything new, but I decided to take the chance… and I’m so glad I did! 1. In the time since I started Elite Blog Academy, I’ve gained a whole lot of valuable information that I would have otherwise overlooked, even with my ten years in the blogging business. This blogging course delivered all that I was hoping for and more, and is still constantly helping me improve my blog now more than I could have ever imagined. I also found a really great community of bloggers that I’m now a part of because of this course – we learn from one another through support, feedback and sharing of helpful information that a blogger like me needs. 2. Through a powerful combination of practical training videos, insightful handouts, purposeful assignments, and interactive live webinars, the Elite Blog Academy course will empower, enable, and inspire you to take your blog to the next level, whether you’ve just started or have been blogging for years. I know this as a student of this course myself. But the best part about it? 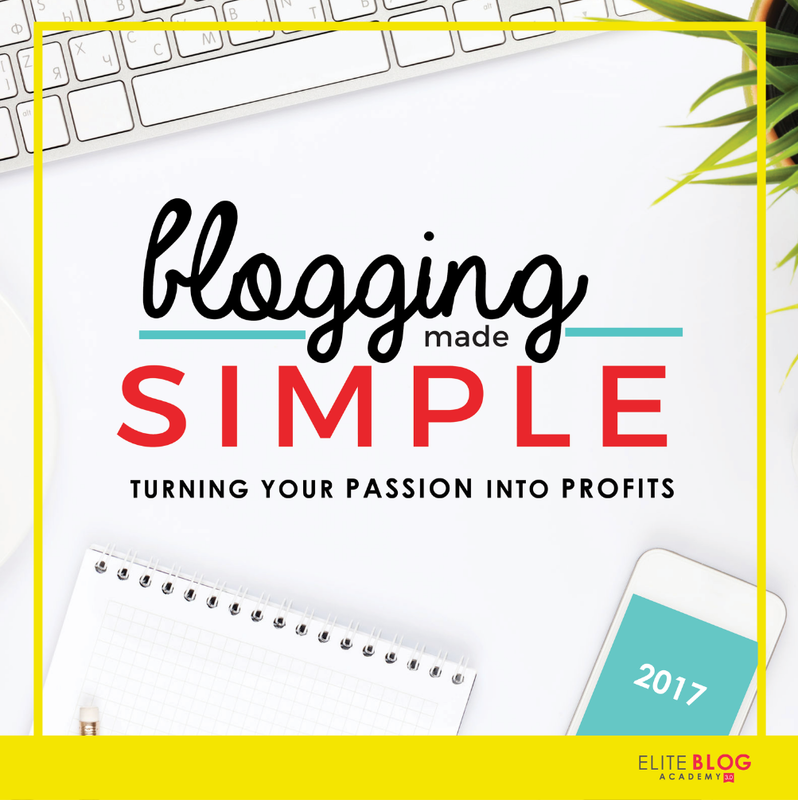 It’s not even just the information that it provides, but also the fact that it will give you a comprehensive framework and a step by step plan of action for how to get the results you want and start profiting on your passion: blogging! 3. And last but not the least, I love that this totally life-changing course produces measurable results, and comes with a 100% money-back guarantee, which means you’ve literally got nothing to lose! HUGE BONUS: This course was created by one of my favorite bloggers, Ruth Soukup, who is also a writer, speaker, entrepreneur, professional encourager, mom of two, and the successful founder of the blog LivingWellSpendingLess.com. She is also the New York Times bestselling author of Living Well, Spending Less: 12 Secrets of the Good Life and Unstuffed: Decluttering Your Home, Mind, and Soul (Harper Collins), as well as the author of the bestselling blogging guide How to Blog for Profit (Without Selling Your Soul). In addition to her bestselling books, Ruth is also the founder of the Living Well Planner, an all-in-one life organizer designed to help you take back your time and get more done. The ELITE BLOG ACADEMY COURSE IS ONLY AVAILABLE FOR A LIMITED TIME! 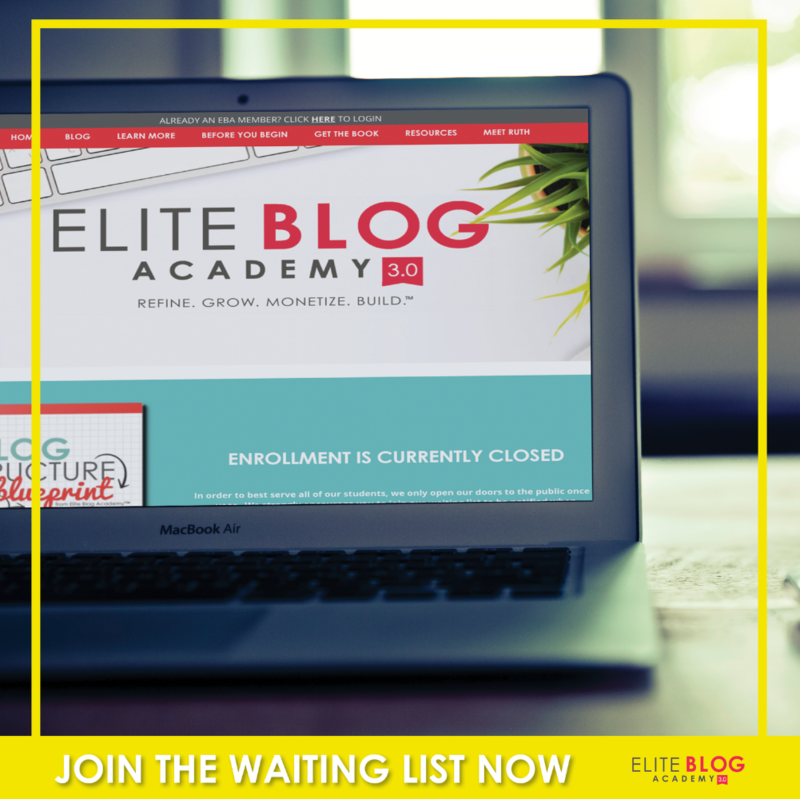 Yes, the enrollment for Elite Blog Academy is extremely limited, and will only be open ONCE a year, for five days only. So if you want in, you’ll have to act fast! 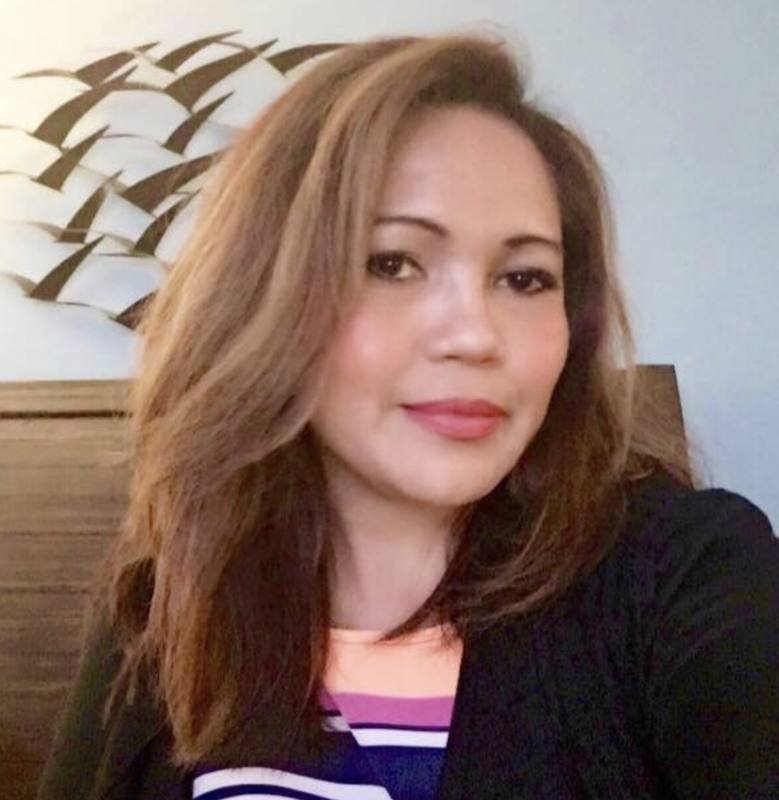 This year, the Elite Blog Academy blogging course officially opens on February 27th, but EBA founder Ruth Soukup is offering a FREE video training series the week before hand called Blogging Made Simple that I highly recommend! 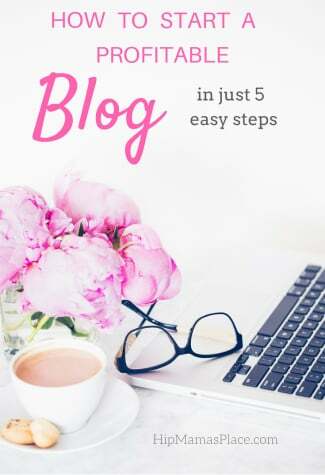 Blogging Made Simple includes three powerful video lessons intended to help you eliminate the overwhelm and instead focus on the tasks that will help you make the biggest impact. 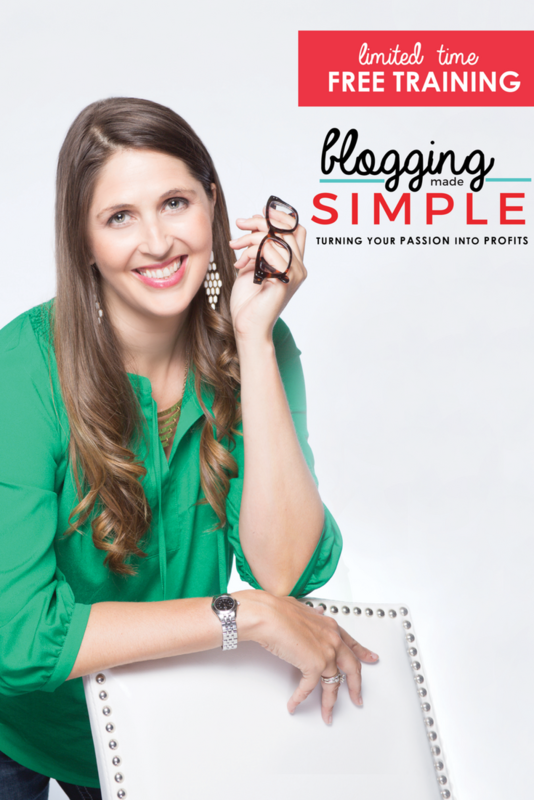 If you are a blogger or have even just thought about blogging, you will NOT want to miss it! And here are a few awesome FREEBIES for bloggers from the ELITE BLOG ACADEMY that you can grab now. Yes, totally FREE for a limited time, so don’t wait! 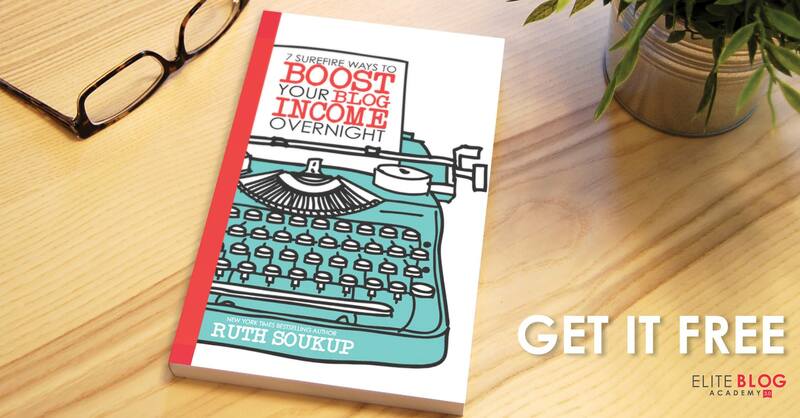 TO GENERATE INCOME FROM YOUR BLOG: Packed with practical tips you can implement right away, this super helpful mini ebook 7 SUREFIRE WAYS TO BOOST YOUR BLOG INCOME OVERNIGHT will help you maximize the revenue you are earning from the audience you already have. It’s a game changer, and right now, for a limited time, you can get it absolutely free! TO ORGANIZE YOUR GOALS AND TAKE ACTION: Want to learn how to work smarter, not harder? EBA’s Goal Setting Workbook for Bloggers is the perfect tool to help you take back your time by allowing you to clarify your purpose and prioritize what’s really important. TO ORGANIZE YOUR BLOG: A clear blog structure is critical to a blogger’s success. 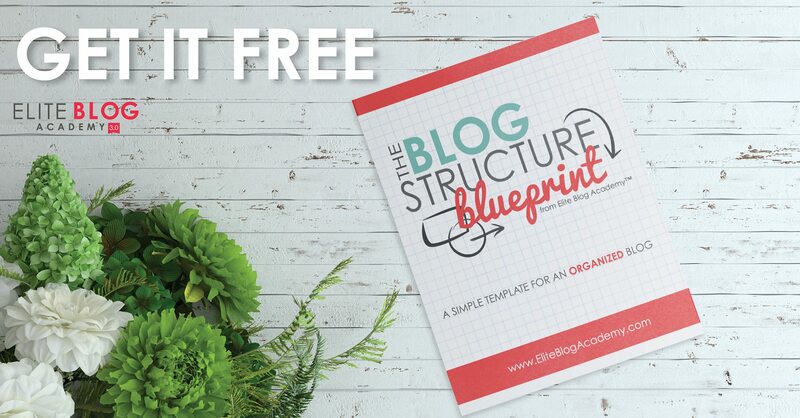 Find out how to organize your blog in EBA’S THE BLOG STRUCTURE BLUEPRINT so that your readers can always find exactly what they’re looking for & become raving fans! It’s a game changer, and right now you can get it absolutely free. « Wonderful Halos Mandarin and Quinoa Chicken Bowls + A Fun Giveaway! I’ve certainly heard of the Elite Blog Academy of the years, but didn’t know anyone with first-hand experience as a user. This was an interesting read! I think this course is a great resource for new bloggers and bloggers who are looking go monetize their blogs. It’s nice to see that these educational resources are available to bloggers. I’ve been blogging since I was 12, and still am not sure whats going on some days. This sounds really great, I’ve heard some great things about Elite Blog Academy! Technology taking over the job world, I think web is the place to go. I might sing up for this course to see if I can be a successful blogger? I definitely think that this course is worth the investment. I have always been meaning to set the funds aside and I think I am finally ready! I seriously need to look into this! I know it is time to invest in myself and my blog, but I wasn’t sure where to start. Thank you. This is actually something I haven’t given any thought too but I do really enjoy Ruth’s other products so I’m sure it would really be worth the investment. Definitely going to look into it. I’ve always wondered about such things. I do stay on the fence about investing but because of my own things, not because of the programs. Eventually I bet I’ll try one. Even with 10 years in blogging there is still something to learn. The industry is always changing and its always something to learn. I just got some of the free resources a few days ago. I’m so excited to dig in and start using them. 2017 is going to be a good year for blogging! I have heard SO much about this course lately! It seems like I know dozens of people that took it last year and they are all saying the same thing about it. I’m so glad you got results! Congrats on the growth! I’m just starting out and all of these products look like ones I want to get. Thanks for sharing. If you want to excel, you need to invest time and money to learn new things. I think this will be really helpful. I would love to do Elite Blog Academy! I know that Ruth would be an excellent person to learn from! I think it will be a great investment. People can learn lots of things in this. I’ve heard this mentioned before but never really looked into it. I think as a new blogger (few years in) this would be a great thing for me. I will definitely be looking into the course. Thank you. Congratulations on your 10th year blogging anniversary! Wow. That’s fantastic! I have been blogging for quite some time too and I must admit, there is still a lot to learn. I’m going to check out the courses you offer and see if I could sign up for them. As a blogger who has been at this for several years I think education is power- and this course definitely looks like it would expand my knowledge base on all this blogging! Thanks for putting it on my radar! I’m looking for ways to help me with my site. I would love to take this course. Thanks so much for the fun blogging stuff. No matter how long you’ve been a blogger, it’s always nice to learn new skills. This course sounds amazing. Going to check out the freebies. Looks like a great course with loads of bonus features. Definitely a perfect starting point for bloggers who need that boost towards monetization. Thanks for the suggestion. Life is a continuous learning process and I am always open to learning some new things that can provide me the latest changes in blogging. Blogging is a always learning job. Just when you think you have things figured out, you discover new info. First time hearing this blogging course! It sounds like an interesting course for bloggers. I’ll be checking this out. This is probably a great course that I could really use. I have been blogging for 5 years now and I still don’t know a lot of things about it that I need to know. Blogging encompasses more than what people realize. 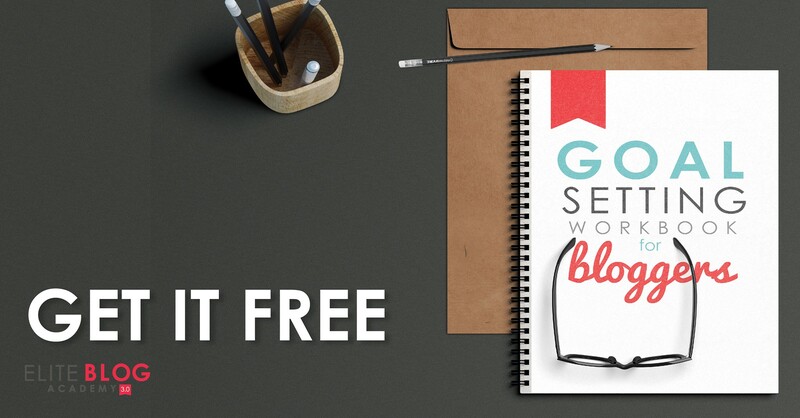 A good course like this one is imperative to be a good blogger. Hmm, I’m tempted to try out this course. I’m always looking for ways to better my blog. Blogging courses can be a great way to advance your business. Thanks for all the details on this one. I have never heard of this course, although it does sound interesting. The more I can learn, the better I can get! Well if you have been blogging 10 years and STILL found the course valuable than I am all for it! I am not scared I won’t learn anything new, rather that I will learn TOO MUCH and not be able to act on most of it. I already find myself overwhelmed most of the time. Thank you for the freebies too! This looks like what I need to be doing! Oh wow, thank you for all these valuable information… I will definitely take you up n all the freebies. I will have to save up for the other one as I am new and money is tight but I will be looking at all the wonderful info you’ve posted thank you. It sounds amazing. Thanks for the honest review. There are so many classes out there and it is hard to decide where and when to spend the money. I’ve never heard of this course. But I agree, whether you’re a blogging newbie or veteran is good to get a refresher course. Things are always changing in the blogging world. Thanks for suggesting this course. I’m signed up for Ruth’s courses in a few weeks. 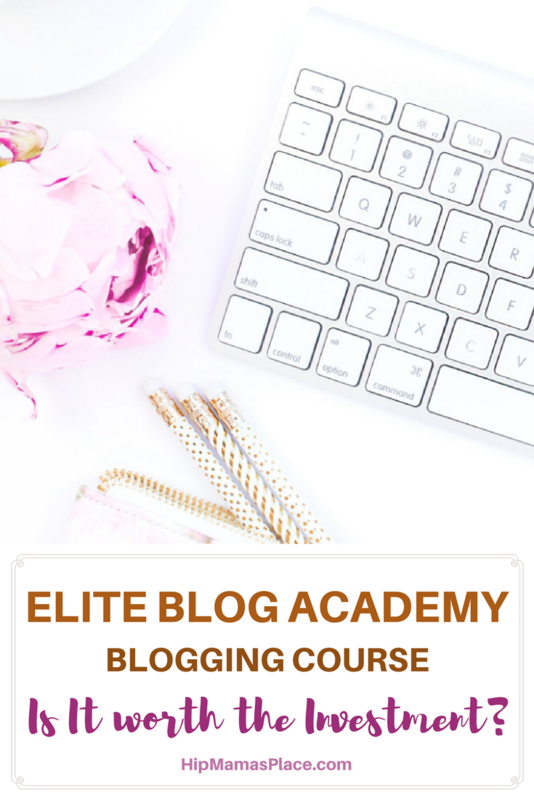 I can’t wait to get started with Elite Blog Academy! I really really hope I learn how to generate a steady income. I need it! Courses sounds like something that could be really helpful. There all a lot of different ones out here. I have been debating taking some courses and I think this one seems great. I’ve not heard of this course yet. There are so many out there it is so hard to choose the right one. I’m still pretty new to blogging so this was super helpful for me. It seems really informative and I might have to check out EBA! I learned of Elite Blogging Academy last year, AFTER it was no longer avail. I subscribed so that I would know when it will be avail this year. I’m really thinking about getting it. I’ve read so many great things about it. It’s just a little pricey for my blog budget. Thank you so much from a newer blogger! I may have to check this out as I’m sure there is so much information I do not know! I have never heard of this before but it sounds totally worth it. I will have to check it out. Thank you! I didn’t even know this course existed. There is always something new to learn in the blogging business. I’ll have to check it out. It sounds like this could really help a blogger get on the right track! There’s a lot to learn about blogging! As someone who spends every day blogging I absolutely am ready to grow my knowledge and skills and would love a course like this one! Definitely going to look into this-thanks for putting it on my radar! Sounds like this program is worth considering. Who doesn’t want to learn and grow your blog and bring it to the next level? Thanks for the recommendation! It is always great to hear about helpful resources from bloggers especially one with so much experience (kudos!). I will have to check this out. This will be perfect for my Sister. She is just starting out in the blogging world. I will have to share this with her. I do learn new things everyday as well. Blogging can be a pain sometimes, but I do love it. Sometimes I do feel lost and I’m not sure how to continue to get more followers or get more visitors to my blog. Everyday is a new day to learn new things. I would not be opposed to checking this course out myself. I’ve never tried enrolling in any kind of blogging course before. I’m sure it can really help out bloggers especially if you’re feeling a little lost with what to do with your blog. This sounds like an amazingly beneficial course! Congrats on your 10 years of blogging… I’m halfway there! 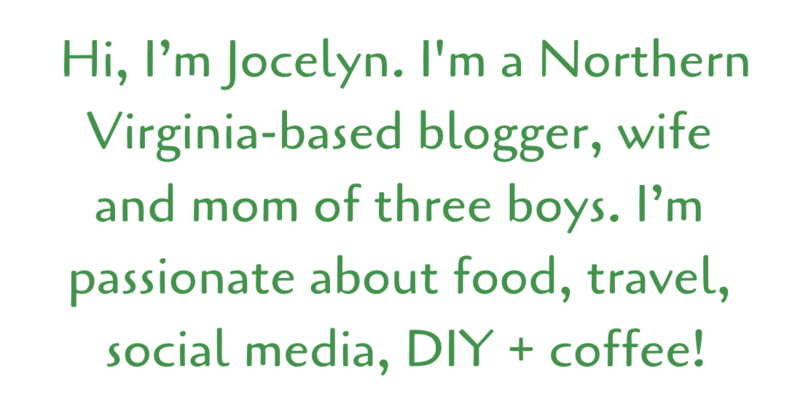 I have been blogging for 9 years and I have winged it the whole time. This sounds very helpful, I could use it I am sure! This looks like it would be such a helpful course. There are so many out there but this one looks like it includes the most I have seen. I have never heard of this course but it looks like it has so much valuable information. I will definitely be thinking about it. I have had quite a few friends take this course and they have loved what they have learned! I have thought about it myself! Thank you for the tip. Great to know. Thanks for the heads up. I’ve seen so many courses available. I didn’t have any idea which ones to choose! I missed the boat last year but have marked my calendar this time around! Thanks for sharing your insight and giving us an update on this years sale! I have been blogging for 7 years, and you are right – there are always new things to learn. I love that this course offers a money back guarantee – that makes it easier for people trying to decide which program to invest money into. I was not aware of such course, but now I feel that I should sign up for the free training asap! Thank you so much for sharing such relevant information! Wow….I hadn’t heard of this but I’m all about strengthening my blog! Thank you SO much – I might have to check it out!